Chairman and CEO of Luxury goods group LVMH Bernard Arnault talks to journalists after a news conference, to announce a deal to simplify Christian Dior business structure, in Paris, France, April 25, 2017. French luxury tycoon Bernard Arnault offered in April 2017 to buy out minority investors of Christian Dior, the holding company that sits above handbags-to-champagne conglomerate LVMH. The cash and share bid valued Dior at 260 euros a share. 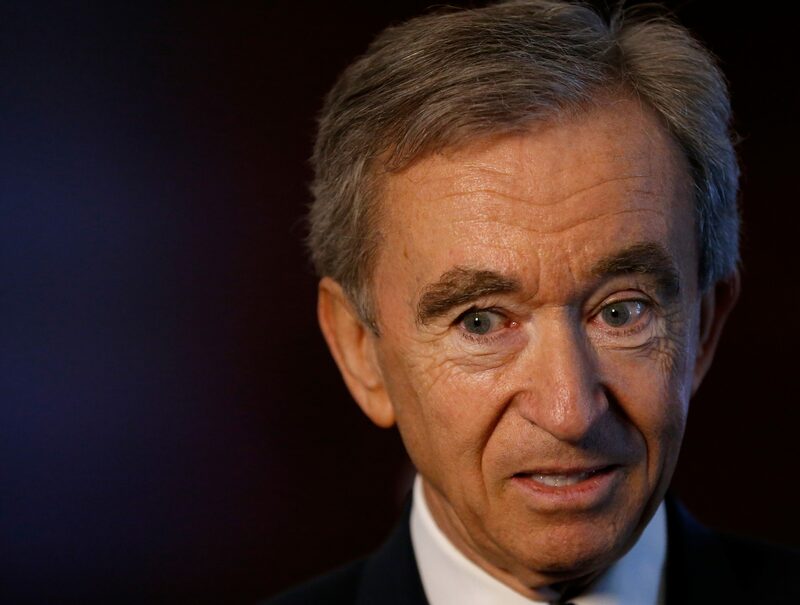 The Arnault family raised its stake to about 94 percent from 74 percent through the offer, and has since increased its stake to 96.5 percent, according to Refinitiv data. The family controls just over 47 percent of LVMH and around 63 percent of LVMH’s voting rights. The French Parliament is in the process of approving a government plan aimed at reforming business and investment in the country. The bill has already been approved by the lower chamber of Parliament and could come into force early in 2019. The wide-ranging draft bill – known as “loi Pacte” – includes a proposal to lower to 90 percent, from 95 percent currently, the threshold for squeezing out minorities in view of a stock market delisting. Dior’s minorities are worth 1.97 billion euros at current market prices. At 335 euros per share on Jan. 7, the stock is roughly 12 percent lower than a peak above 380 euros hit in June. The price is around 2 percent above Dior’s three-month simple moving average of 329 euros per share, Refinitiv data show.